MOSCOW, April 1. /TASS/. 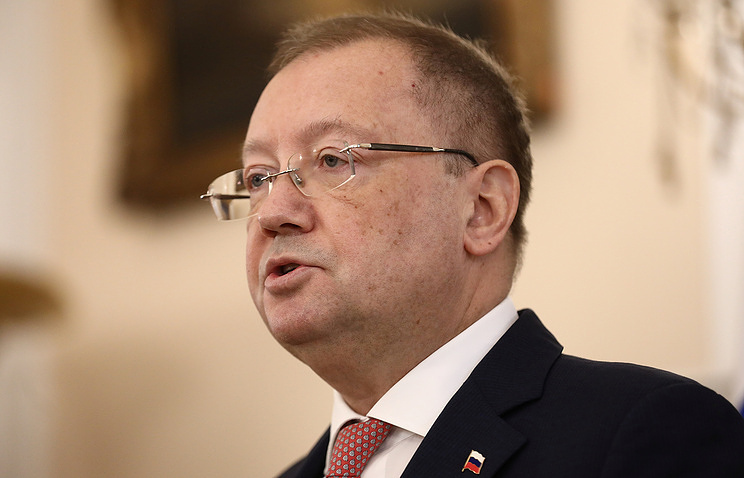 The United Kingdom cannot make secret information on the Skripal case and London will bear responsibility for this provocation, Russian Ambassador to the UK Alexander Yakovenko said in an interview with Itogi Nedeli (Weekly Results) program on NTV Television Channel on Sunday. "I believe that this time, like in the case with [Alexander] Litvinenko, like in the case with [Badri] Patarkatsishvili, [Boris] Berezovsky, [Alexander] Perepilichny, [Nikolai] Glushkov, efforts will fail to make this information secret. I am sure that Russia won’t let Britons out of the legal field and the Britons will have to bear responsibility," the ambassador said. Russia is currently "choosing the methods" and determining which way to follow, Yakovenko said. According to the ambassador, there are "serious suspicions" that the provocation was staged by the British intelligence services. "They are refusing to cooperate with us and are not giving us any facts. These realities naturally prompt us to conclude that this is a provocation made by the special services," the diplomat stressed. Relations between Moscow and London have deteriorated sharply over the poisoning of former Russian military intelligence officer Sergei Skripal, who was earlier sentenced in Russia for spying for the UK, and his daughter Yulia, who on March 4 were found unconscious on a bench near the Maltings shopping center in Salisbury. Police said they had been exposed to a nerve agent. Later, London claimed that the toxin of Novichok-class had been allegedly developed in Russia. With that, the UK rushed to accuse Russia of being involved, while failing to produce any evidence. Moscow refuted the accusations that it had been involved in the incident and points out that neither the Soviet Union nor Russia has ever done research into that toxic chemical. Without providing any proof, London expelled 23 Russian diplomats and suspended all planned high-level bilateral contacts. In response, Moscow expelled the equal number of UK diplomats. In addition, Britain’s consulate in St. Petersburg was ordered to be closed and the British Council’s operations in Russia were terminated.